Sagittarius reminds us that our life is a journey, and a very special one! Since each one of us is unique, we must forge our own path. Sagittarius encourages us to experiment and to learn from our experiences. The Archer teaches us to elevate our attitude out of fear and judgment. There are no failures, just trial and results. Look for magic and miracles, and you will witness them everywhere. For the rest of November, the Sun, Mercury, and Jupiter, all in Sagittarius, help us feel optimistic and generous. We experience an openness to new understandings and expanded awareness. However, we must guard against excess and naiveté. Avoid going overboard with taking advantage of irresistible ‘deals,’ and compulsive shopping. Also avoid over commitments — financial or any other obligations that are not sustainable for your personal purse or time and energy. November 28 and 30 are good days for reality checks to monitor your level of wise self-restraint. On November 8 Jupiter ended its 13 month stay in Scorpio. Jupiter now expands our horizons in Sagittarius. Thirteen months of Jupiter in Scorpio exposed incidents that demonstrate the controlling power of the subconscious. During this time much has been revealed about sexual abuse, drug abuse, and abuse of power. All of the above remind us of the serious problems that are created by unresolved emotional traumas and wounding. Scorpio makes us aware of the fact that when we act without recognizing the source of our irrational behavior, we can also be oblivious of the devastating impact and long-term consequences of our actions. Scorpio brings what has been hidden to the surface so that we can heal through awareness, acceptance, self-love, forgiveness, and openness to another way. Scorpio can get lost in the unfathomable darkness of the subconscious and overwhelmed by the intensity of inexplicable emotions that bubble up from a mysterious cauldron within. Just in time for the holidays, Sagittarius turns our attention to a broader perspective, new possibilities, the joy of giving, and higher purpose. Jupiter in Sagittarius helps us identify the worldview that defines what we believe about reality. Scorpio exposes the emotional traumas and conditioning that have been instrumental in forming our view of the world and ourselves. We find out that our beliefs, formed from our conditioning, education, and life experience can be self-sabotaging. To release ourselves from the tyranny of externally imposed beliefs and traumatic life experiences, we have to explore the world and ourselves beyond social, educational, and religious programming. The Archer helps us develop a philosophy of life that reflects our personal preferences and spiritual foundation. We are invited to examine our worldview with the goal of indentifying what works for us and what doesn’t. We are encouraged to broaden our horizons by engaging in new and novel activities. We can shift our focus simply by taking a new route or altering our routine. When we get annoyed, we can use our fire energy to take positive action, instead of seething in our wounds. Elevated Sag ignites our passion for life and living. There are an unlimited number of ways to deepen our understanding of life and awaken us to other realities beyond the limited views that confine us to prisons of our own making. Boxed in by our limiting beliefs, we are prone to needlessly torment ourselves. In its own sign Sagittarius, Jupiter can facilitate the opening of portals to higher consciousness. But we must be willing to open our minds and hearts to unexplored territory. The awakened expressions of Sagittarius are ethical, honest, and generous. The unawakened expression of Sagittarius are gullible, self-indulgent, extravagant, dogmatic, and fanatical. Jupiter is the planet of expansion. We often choose to think of Jupiter’s effects in positive, supportive, and benefic terms. However, Jupiter energy can also create excess and thus imbalance and distortions in how we perceive reality. We may get so caught up in lofty goals that we forget to take practical steps to reach these goals and fail to work within the limits of the resources available to us. Our excitable Archer is prone to take on more than we can handle. We can overload our schedules until they become unmanageable. Exaggeration can lead to inaccuracies and lies. The lack of practical oversight may be unintentional, but it can be costly. Our righteous crusader can power forward oblivious that our over-confident, self-assured position may not be shared by others. We are well advised to use our visionary capacity appropriately and our enthusiasm and courage productively. Nowadays especially, we need to be careful and discriminatory when listening to, reading, or sharing information. Jupiter was in Sagittarius from November 23, 2006 to December 18, 2007. The Apple iPhone was launched during this time. Overexpansion and greed seeded the beginning of the subprime mortgage financial crisis, which lead to the banking collapse in the fall of 2008 (coinciding with Pluto entering Capricorn). Look back at your life during this last Jupiter in Sagittarius period. Where and how did your reality expand? How is your new thirteen year cycle is beginning? And in what direction do you wish to go? Of course, you may not be privy to a crystal ball about your future, but you can stay attuned to your awakening evolutionary journey and where it is leading you. Be present to adventure and enjoy it. Follow your heart and listen to your intuition — they are your best guides. The Gemini Full Moon occurs at the first degree, just as the Moon enters Gemini, supporting us in a new fresh adventure. The Gemini Full Moon opposes Jupiter, the Sun, and Mercury Retrograde — all in Sagittarius. The Gemini/Sagittarius polarity pair is very active now. Gemini’s focus is primarily local and present in the now. Sagittarius’ interest extends beyond its immediate environment and into the future. The Archer’s natural inclination is to expand and to reach beyond what it can see and already knows. The Archer’s arrow is pointed toward the sky. Who know where and when it will land? Actually, who knows when the arrow will be released? The Archer travels beyond familiar ground to encounter new ideas and people, to explore new places, to get to know new cultures, and to learn how others relate to life. We discover ourselves as we discover the world. The Gemini Twins gather information and try to make logical sense of all the facts. The Archer gives the details meaning and develops a philosophy or belief system to contain all the pieces. Gemini analyses. Sag synthesizes. Gemini offers us diversity. Sagittarius offers us depth of understanding and inspiration. Both Gemini (air) and Sagittarius (fire) are prone to be scattered, unfocused, overextended, and hyper active. Both need to learn to use the breath to connect in feeling awareness in the body, to strengthen the nervous system, and to slow down. Grounded Gemini can keep us focused on the present and current reality. Grounded Sag can offer us direction and faith in the future. At the Gemini Full Moon, Mars in Pisces squares the Sun, Mercury, and Jupiter (all in Sag) and the Moon in Gemini, forming a T-square (squares and oppositions in the mutable or moving signs of Gemini, Sagittarius, and Pisces.) Mars (which represents action, passion, courage, and personal will power) in Pisces (which represents trust, surrender to the Divine, and go with the flow) isn’t an obvious match of energies and can create some confusion. We need to be aware of misinterpreting what others say and do and having our communication and actions being misunderstood. It is best to be sensitive and avoid saying or doing what might be interpreted in ways that we did not intend. 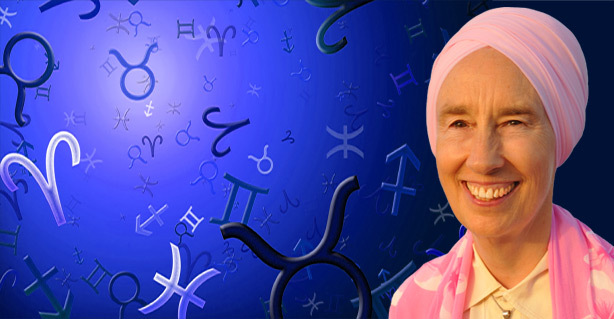 Optimistic Sag teaches us that the most important factor in any life situation is our attitude. When we elevate our attitude, we are able to shift from being a victim to a willingly participant in life as it unfolds. Most of our life activities aren’t going to change, but we can change how we experience life by reorienting our attitude toward the small stuff. Our attitude is the most valuable tool we have in dealing with everyday life and its challenges. A shift in approach can dramatically change our quality of life. In fact, an elevated attitude can create quantum shifts in our lives. The current attitude that I am using while doing daily tasks like washing the dishes, cleaning my apartment, running errands, etc. is “I am creating Divine Order in my life.” In fact, I am applying this attitude to everything I do. Miraculously (or maybe obviously) I experience that this attitude is not accompanied by the stress or tension that I can often feel while doing mundane tasks. (My bumper sticker could be — I would rather be writing blogs or books!) Instead of being annoyed, I am amused. I am more present to what I am doing and able to live more in the ever-flowing moments of life. Try it for yourself! Because of its retrograde movement, Mercury forms three exact conjunctions with Jupiter (1) October 29 at 28 degrees Scorpio, (2) November 27 at 4 degrees Sagittarius, and (3) December 21 at 10 degrees Sagittarius. During this period we get a glimpse of what is possible, ideas about future direction, and hints about how to reorient our lives. It is a fertile time that can open up creativity and new avenues to offering our special gifts to the world. Of course, we will also become aware of what no longer works for us. And we will gladly leave the past behind. Mercury retrograde doubles this planet’s time in Sagittarius (October 30 to December 1 and then following 11 days in Scorpio December 12 to January 4.) During most of this time, Mercury and Neptune are forming a square. We may feel confused or uncertain. It is best to follow our instincts and avoid overriding them. Generally squares demand action. But a square to Neptune that resists pressure and side steps demands by simply disappearing? Mercury’s logical thought is superseded by Neptune’s imagination and tendency to escape. The best option is to relax and stay present to the Divine, e.g. listen to silence and ignore machinations of the mind. If we are not paying attention, we can be deceived. So be sure to verify the facts and get in touch with your own motivations and assumptions before making decisions. Let your instincts guide you. If something doesn’t feel right, that is a NO. Don’t override you intuitive/instinctual guidance with rationalizations that support what you want to believe or wish were true. The best use of Mercury Retrograde is to allow yourself time to be inspired and guided by the Divine and your own heart. Neptune went retrograde on June 18 at 16 degrees Pisces and goes direct November 24 at 13 degrees Pisces. When a planet turns retrograde or direct, its energy is intensified. Neptune in its own sign Pisces intensifies cosmic energies that help us perceive our connection with the Divine. This is an optimal time to be open to experience our relationship with universal forces, to ask for Divine Guidance, and to be receptive to messages and answers that can come in many forms. The unawakened expressions of Neptune and Pisces result in illusions, escapism, victimhood, and martyrdom. The more we wake up to the reality of our oneness with the Divine, the less prone we are to fall into Neptune’s illusory traps. As with all archetypal energies, the more consciously we interact with them, the more benefits we receive and the less susceptible we are to their negative, disruptive expressions. With the Sun, Moon, and Jupiter all in Sagittarius, we receive a boost to our morale and an infusion of hope that raises our spirits. The Archer’s arrow points us toward our spiritual destiny. What’s that we ask? The question is guided by our soul questing for an experience of Love, Light, and Peace while visiting Planet Earth. Jupiter in Sagittarius aims for the highest good for all. At the New Moon, the Moon, Sun, and Jupiter all square the planet Neptune, whose nebulous focus blurs the distinctions between physical and non-physical realities. Neptune offers no clear, precise, or obvious answers. It simply shares a blanket of compassion, which helps us see beyond judgment and wounding to common ground. Mars joins Neptune in Pisces (November 16 – December 31) toning down Mars propensity to react with anger and be provoked into confrontive responses. Mars in Pisces invites us to direct our passion to experience the Divine and to engage in creative endeavors rather than waste our energy in destructive actions. Neptune and Pisces spin a web of mystery around physical reality, which can be penetrated only through deep silent meditation and relaxed feeling experience. Divine Order, Divine Organization, Divine Guidance, Divine Flow, Divine Love — get one, you get them All! Aim your arrow to the highest target and enjoy where it takes you. You are the captain of your own inner space ship!